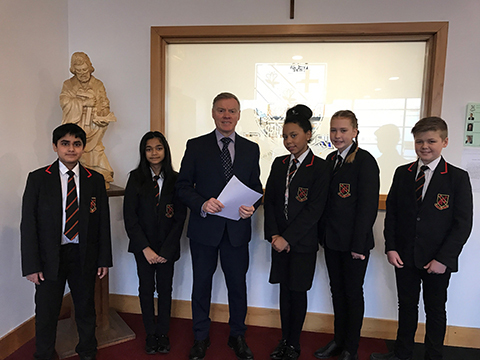 The inspection team looked at the progress made on the action points from the last inspection in 2014 and decided that “The leadership team has maintained the good quality of education in the school since the last inspection”. As well as visiting lessons the team talked with a range of students whom they selected and looked at a range of exercise books. They found “As a result of good teaching, pupils, including those of middle ability, learn well in most of their subjects. The work in pupils’ books shows that most teachers have high expectations of what they can achieve. The majority of pupils take pride in their work and present it to a high standard. Pupils of different abilities are set challenging tasks which enable them to acquire skills and knowledge appropriate for their ages”. Safeguarding was judged as effective." 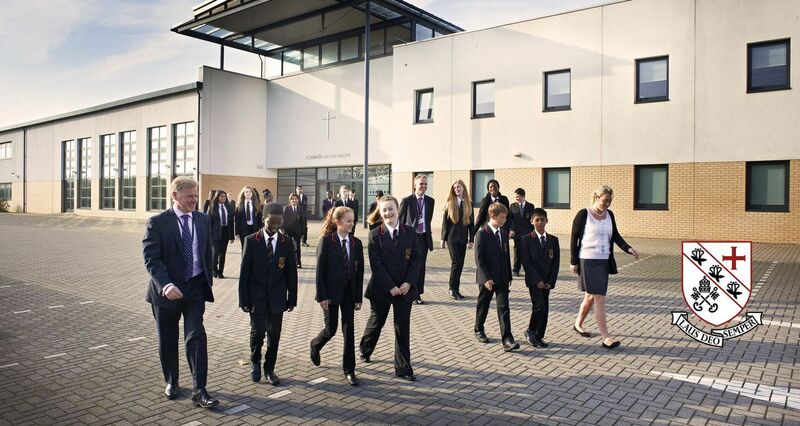 Pupils who spoke with inspectors reported that they feel safe in school. One reason for this is that they feel open and comfortable speaking to staff should they have any worries. They are highly positive about the pastoral support they receive. The school’s culture promotes this openness”. "I am delighted that the college has once again been recognised as good. This report reflects the hard work done by so many people and is a credit to all those individuals who work tirelessly to support our students. It is important that the Ofsted report agrees with our own self- evaluation of the college. We were very open about our strengths and weaknesses, this self-awareness is crucial for a good judgement because it shows we are not complacent about what we want to improve"
In December, 7P and 7U visited the Richard Jefferies Museum as part of their English work. They learnt about the author Richard Jefferies and how he used features of the landscape around him to inspire him and to create a setting for his stories. During the visit, pupils learnt about artefacts in the house and explored the gardens. They looked around Coate Water to identify key sites used in Richards Jefferies’ books and then finished the day warming up around a campfire, telling stories and eating biscuits! Here is what some of our students had to say about the trip. "On the Richard Jefferies Museum trip, we learnt that Richard Jefferies was an English writer who wrote books about his childhood life on a Wiltshire farm. I enjoyed exploring places on the map which Richard Jefferies wrote about. We had a campfire after lunch which was so warm and relaxing because it was so cold." "At the Richard Jefferies Museum I enjoyed the campfire and when we had biscuits. I also learnt that Richard Jefferies, when he was a boy, used to have a toy trumpet. I enjoyed looking at the things that Richard Jefferies studied when he was younger." The recent fashion for extremely short ‘back and sides’ haircuts has led to some students failing to comply with the College uniform policy. This states that hair should not be excessively short. The College accepts grade one cuts, but any shorter than this and the haircut will fail to comply with the uniform policy. The few students who have got their hair cut to a length below grade one have subsequently lost their social times until it has grown back to an acceptable length. These students have been disappointed with this outcome; however, we are relentless in maintaining the College’s high standards. Please be mindful of the College’s uniform policy when you take your child to have a haircut and ensure that the hairdresser follows your request. Please click here to view the letter sent to parents.